By nearly a 2-1 margin on Tuesday, voters in Ypsilanti passed a Water Street debt retirement millage. Approval comes a year after city voters defeated a similar measure by 39 votes. Ypsilanti Mayor Amanda Edmonds tells WEMU city officials can now begin mapping out a better future. For most of us, debt is a big part of life. 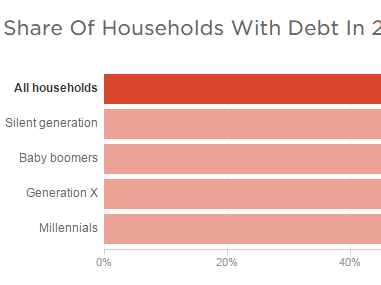 According to a new study by Pew Charitable Trusts, 80 percent of Americans have some form of debt — from student loans to credit card balances. There are many among the so-called silent generation, those born before World War II, who are still paying off mortgages and credit cards. The Ypsilanti Community Schools Board of Education will meet tonight in what, technically, is it's first-ever regular session. WEMU's Bob Eccles has more on the agenda before the board tonight. WEMU's Bob Eccles previews the Ypsilanti Community Schools Board of Education meeting for Monday, July 15th.